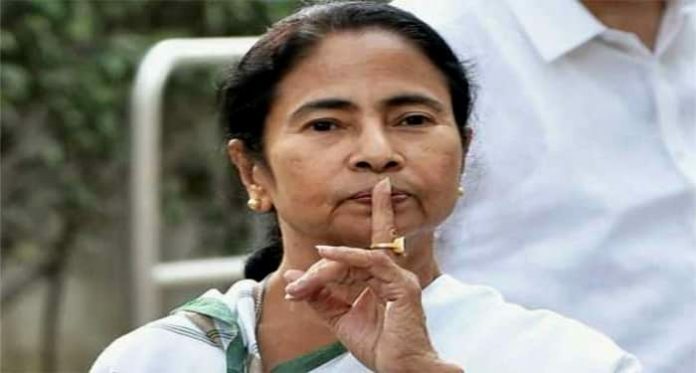 Bolpur: Chief Minister Mamata Banerjee has claimed that she hasn’t received a single penny in her bank account from the sales of her paintings and, has dared BJP’s Modi-Shah pair to prove anything contrary. The comment came today, a day after BJP president Amit Shah told a public rally at Kanthi in East Midnapore that chit-fund owners had bought Banerjee’s paintings for crores of rupees. This is even as CBI last week arrested Kolkata’s noted film producer Shrikant Mohta for his alleged involvement in the chit-fund scams. Mohta, close to Mamata Banerjee, had bought five of her paintings which the CBI has already confiscated. Reacting to Shah’s comments, Banerjee challenged the BJP leadership to prove that she has received money in her bank account from the sales of the paintings. “They see corruption if I paint. They see corruption if I write. Who are they but a party of thieves? They dare to ask me such questions, such is their audacity! 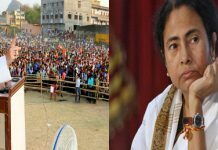 I don’t take a penny from anyone,” she said at a public rally at Rampurhat in Birbhum today. 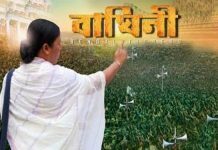 Stating that she is “in politics since childhood” and has faced numerous assaults, Banerjee thundered that she will never bow down before anyone. “Prove that Mamata Banerjee has taken even a single penny in her account by selling the paintings. I challenge you to prove,” she said. 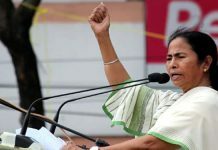 The Bengal Chief Minister advised the BJP-led Centre not to threaten her party and government with CBI. She also sounded a note of caution for the BJP leaders in Bengal.